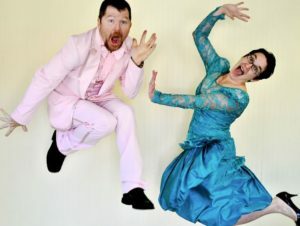 Austin power-couple, Jodi and Owen Egerton join us this week. 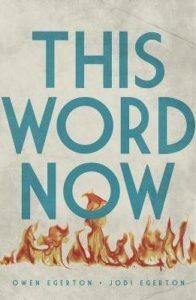 Their new book is THIS WORD NOW (Write Good Books, 2016). Writing on the Air is a live radio program with an online stream, broadcast Wednesdays from 6-7pm Central from the KOOP radio studios in Austin, Texas. To listen, click here, or tune your radio to Austin’s 91.7FM KOOP. We hope you’ll scroll through our episodes below. The audios are on each page, and you can find our podcast on iTunes. You can also keep up with us on Facebook and Twitter. Jodi Egerton is a copywriter, ghostwriter, book editor, writing mentor, comedy improv performer, poet, and roller derby queen. 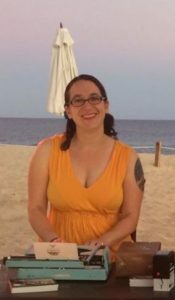 Jodi earned her Ph.D. in English from the University of Texas at Austin, where she served as Assistant Director of the Division of Rhetoric and Writing and the Training Specialist at the Undergraduate Writing Center. She is also a former professor at St. Edward’s University. THIS WORD NOW (Write Good Books, 2016) is for writers who are looking to sharpen their craft and creativity. Jodi co- wrote the book with her husband, Owen. Jodi’s company is Write Good Consulting, an editing, workshop, and mentoring service. She launched the business after realizing how often people were coming to her for writing and editing help. She’s worked with writers on genre and literary novels, YA and middle grade novels, memoirs, short story collections, and screenplays. Jodi’s workshops combine improvisation games with writing exercises to energize writers and encourage them to break through writer’s block. She also teaches workshops on effective writing strategies, and communication and team-building. Her clients include Dell, 3M, the University of Texas graduate school of business, Acton MBA, and the National Multiple Sclerosis Society. Jodi also works as a performer, and can be found on stages around Austin performing improv comedy and entertaining audiences with The Dionysium, The Pie and Ear, Five Things, The Story Department, The Encyclopedia Project, and Master Pancake Theatre at The Vortex and the Alamo Drafthouse. Jodi hosts fundraisers and emcees auctions for schools and non-profit organizations, as well, and was a longtime member of the improv comedy troupe, ComedySportz. She also works as a “wordslinger” for Typewriter Rodeo, creating custom, on-the-spot poems for event guests, using a vintage typewriter. You’ll hear her producing radio poems on her 1970 Litton Imperial on Typewriter Rodeo’s weekly Texas Standard segment on Austin’s KUT. Jodi is also known as “Jazz Hands,” skating for the Texas Rollergirls Rec League. For more information, please see Write Good Consulting. You can also follow Jodi on Facebook and Twitter. This book is built to start fires. Whether you’re an aspiring writer just starting out or a seasoned author working to complete your next novel, This Word Now is a box of matches and a stack of kindling. Through a series of essays and exercises, acclaimed writers and instructors Jodi and Owen Egerton guide you through techniques for cultivating creativity, building narratives, and energizing your writing with passion and play. Filled with insight, humor, and anecdotes from the writing life, this book is the perfect companion for writers looking to sharpen their craft. 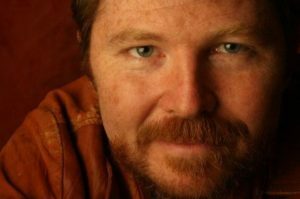 Owen Egerton is an author, screenwriter, director and performer. 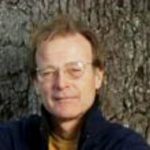 He received an MFA from Texas State University and has taught creative writing at the graduate and undergraduate level. Owen has been named Austin’s Best Author seven times by the Austin Chronicle readers’ poll. In addition to THIS WORD NOW, co-written with his wife, Jodi Egerton, Owen has written four books — Marshall Hollenzer Is Driving (iUniverse, 2000), Everyone Says That at the End of the World (Soft Skull Press, 2013), the short story collection How Best To Avoid Dying: Stories (Soft Skull Press, 2014), and The Book of Harold: The Illegitimate Son of God (Soft Skull Press, 2012). 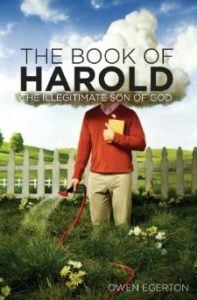 The Book of Harold is in development as a television series with Warner Brothers. 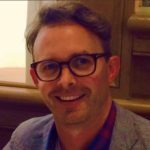 Owen is also a frequent contributor to Salon, Huffington Post, and the Austin Chronicle. As a comedian specializing in improv, Owen performed with the award-winning The Sinus Show and Master Pancake Theatre, and is the former artistic director of Austin’s National Comedy Theatre. He performed with ComedySportz for many years and was a member of the (faux) boy band, Cedar Fever, and The Pie and Ear. In 2010, Owen performed his self-written, one-man show, The Other Side of Sleep at Zachary Scott Theatre. Owen is also a screenwriter. He’s written screenplays for Warner Brothers, Fox, Disney and many others. 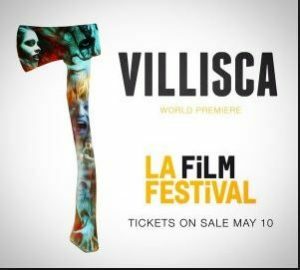 He wrote the screenplay for the feature film, VILLISCA that premiered in June at the LA Film Festival. For the horror-thriller, FOLLOW (2015) Owen both wrote and directed. 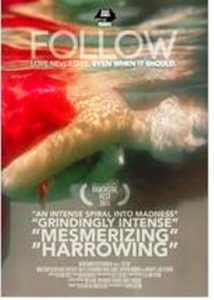 FOLLOW was nominated for Best American Independent Feature Film at the Cleveland International Film Festival. He also wrote and directed the “short” of FOLLOW (2013), and it was nominated for the Competition Award at SXSW in 2013. Owen has also appeared in front of the camera. He plays “Asparagus” in the film, Fun with Hackley: Axe Murderer that comes out next year. He’s also seen in the films Open Windows (2014), Ultimate Guide to Flight (2010), and he starred in the short comedy film, The Dreamer (2008). He was in three episodes of the TV series, Austin Movie Show (2006-7), and has also appeared in the documentaries, The Making of ‘Open Windows’ (2014), and The People vs. George Lucas (2010). Here in Austin, Owen has a monthly radio show on KUT called, “The Write Up,” and the first Tuesday of the month he hosts One Page Salon, where authors congregate to read one page of a new work. The concept of One Page Salon started several years ago when Owen and Jodi wanted to hang out with fellow creative types, drink wine and share ideas. For more information, please see OwenEgerton.com. You can also follow him on Facebook and Twitter.